Nichols is a place where you can find your passion. With over 35 student organizations, 14 varsity sports, 3 international exchange programs and leading-edge music, dance, theater and arts programs, students explore a range of activities and engage in leadership opportunities that complement their education. 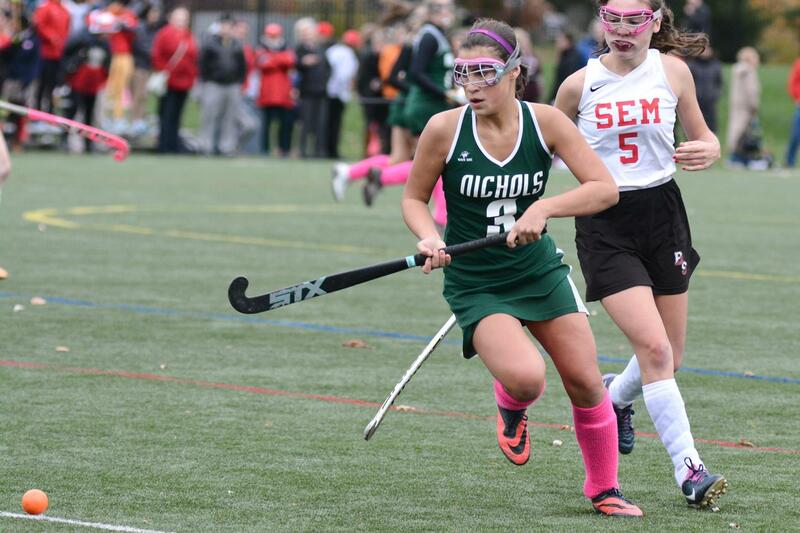 At Nichols, students maintain a high level of discipline, work together to achieve their goals while forming bonds that will last a lifetime. Modeled like a small liberal arts college, Nichols' 30-acre campus has plenty of spaces to study, train, create and relax. Students walk along tree-lined sidewalks between classes. Many of our buildings retain their classic 19th century character with a modern flare: Large book collections populate the bookshelves of classrooms, student artwork decorates the hallways, and our state-of the art technology encourages students learning and innovation. The School is minutes away from galleries, historic houses, Olmstead parks and The Buffalo Zoo and our faculty harness all these environments to expand our students' learning. Our athletic facilities include turf fields, ice rinks, baseball fields, gymnasiums, basketball, squash and tennis courts, and a rock climbing wall. Our art rooms are large collaborative spaces for students to refine their artistic skills. With cameras, photo and video editing machines, easels, a darkroom and much more, students often come in on their free time to take advantage of all the resources to work on their own creative pursuits. The Flickinger Performing Arts Center (FPAC) is our large theatre space where student productions, presentations and school meetings take place. It also houses music rehearsal rooms for the School orchestra and chorus. and study together, and teachers use to expand their classrooms. You'll find student art hanging on the wall, and may well find a student-programmed robot rolling across the floor. Nichols dance studio hosts dance classes and where our ensembles rehearse for big shows. With sustainability, flexibility and cutting-edge math and science instruction at forefront, the Class of 1963 Center for Math and Science opened in 2010. 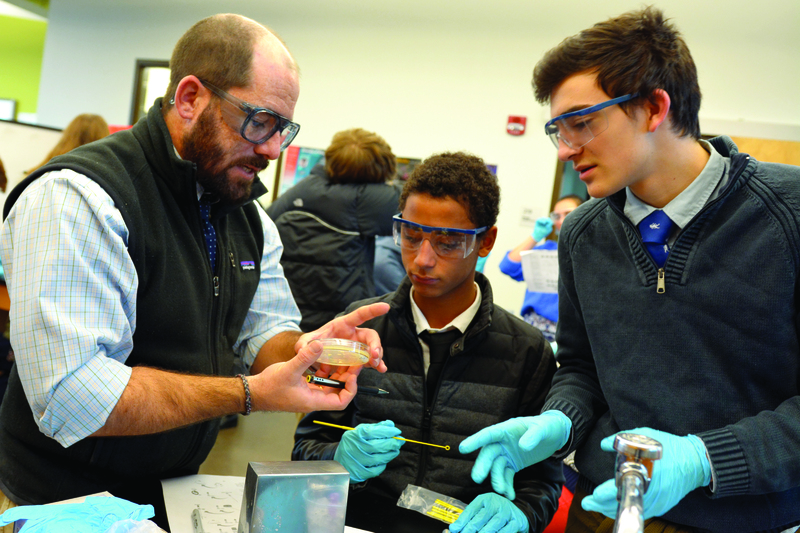 The 24,000 square-foot facility houses eight mathematics classrooms; seven Upper School science classrooms with labs; the 45-seat William G. Gisel, Jr. ’70 Lecture Hall; and the School’s Information Technology Department. Click here to learn more about STEM at Nichols! There are many lounge areas around campus including study spaces, computer labs and hang out spots. As the extension of the School library, the Reading Room is the classic study space, furnished with books and wooden panels. Students often hang out in the vibrant Student Lounge or the Junior/Senior Lounge. When students want to take a breath of fresh air, there is plenty of green space to lounge, soak up the sun, toss a Frisbee and relax.